If you’re an experienced trekker, you don’t need to be put off by the thought of crowded trails that are often the case on the “standard” Everest Base Camp trek. 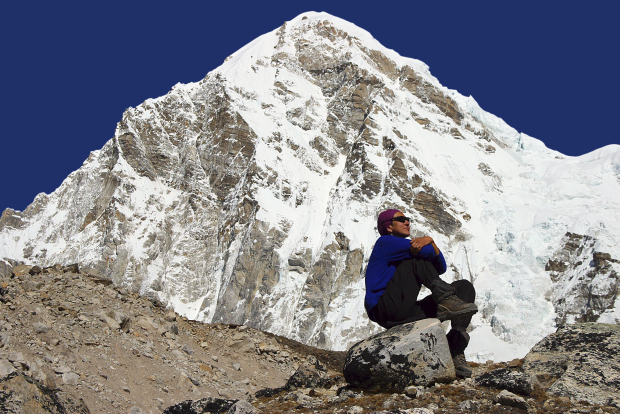 There are indeed other and arguably better ways to reach Everest and because they are even more challenging, by default they aren’t anything like as busy. How can you trek to Everest and avoid the crowds? The simple explanation is that you take a detour from the “standard” Everest Base Camp trail, which is the one that by far most people follow. Just like other bucket list treks (think Kilimanjaro and the Inca Trail), the “standard” Everest Base Camp trek does seem to attract more than it’s fair share of people who would never usually go trekking. And judging by some of the questions we get, without much of an idea as to the realities (or the pitfalls) either of what is still a challenging trek and at very high altitude too. 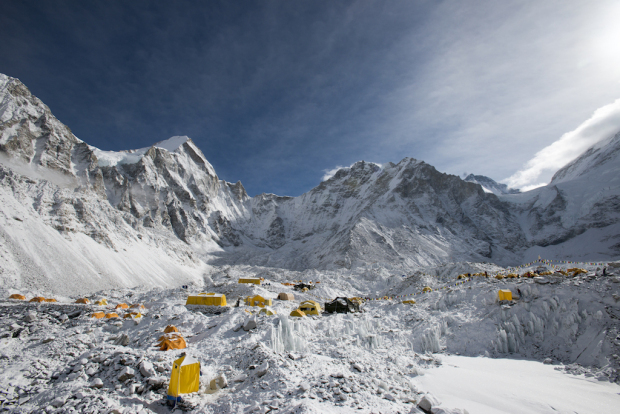 But, what is generally known as the “standard” Everest Base Camp trek is in fact mostly a linear route i.e., the way you go up, is the way you come down. And yes… it does indeed get very busy at times. Well, you can, of course, be an “Everest purist” and begin the trek at Jiri instead of missing that bit out and flying up to Lukla. However, nowadays most people do indeed start and end their Everest trek at the mountain airstrip of Lukla. You’re heading for the tiny settlement of Marulung (have you ever heard of Marulung?) above the Bhote Khosi River, via Thame. As you’re now over 4,000m, you need a couple of days for acclimatization along the way too. Leaving Marulung, a tough, but gratifying day lies ahead: crossing the 5340m Renjo La to descend to the glittering, turquoise lakes of Gokyo. There’ll be a lot of huffing and puffing as you climb up to the Renjo La, but the views of the Himalayan peaks of the Everest region from the pass are outrageously stunning. Here at Gokyo, you can then take a hike for closer views of magnificent Cho Oyu and indeed the “scoundrels view” of Everest (around 5 hours return). There’s also one of the classic Everest viewpoints, Gokyo Ri (5360m) to do too. The following day is (thankfully) a bit more straightforward as you head across the Ngozumba Glacier to Dragnag (4700m), but there’s another “toughie” to follow the next day. That would be the Cho La (5425m). This is a usually glaciated (or sometimes snow covered) pass that is quite steep in places and with some loose scree, old moraine and a boulder field to navigate. Enough to keep the inexperienced trekker away. As with the Renjo La, the views from the Cho La are equally stunning and well worth the scrambling up before the long descent to tiny Dzongla (4830m), which is nothing more than a couple of teahouses. Now, to make the final approach to Everest Base Camp, you are gonna have to re-join the “standard” trail, so enjoy the last day of the detour as you hike to Gorak Shep (5140m). Just like Dzongla, Gorak Shep is just a handful of trekking lodges (possibly the highest in the world) and the stopover location for Base Camp. 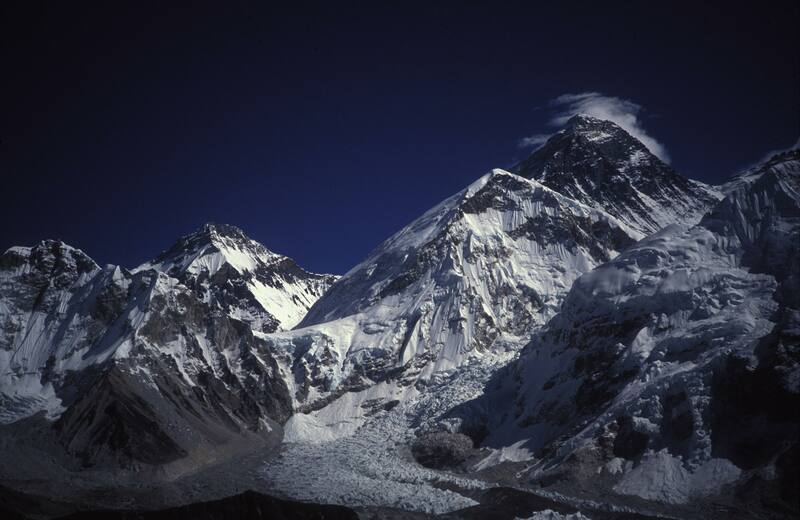 But, with Pumori rising above Gorak Shep and the satellite ridge of Kala Pattar (THE classic Everest viewpoint), it’s a pretty spectacular place and although you are re-joining the “standard route,” not everyone who sets out on that route makes it this far up anyway. 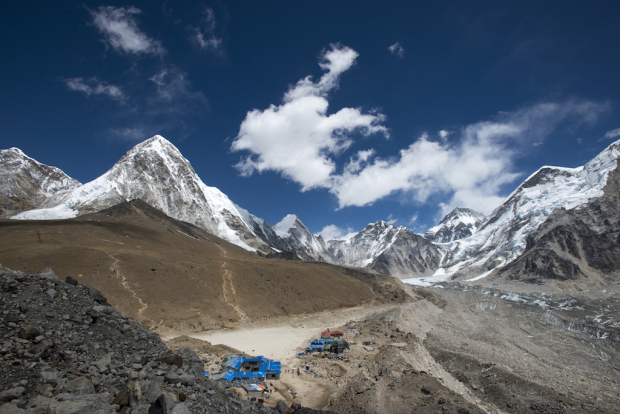 Still, you’ll surely want to make the 6-hour return hike up to Everest Base Camp. For the descent, you’d then follow the “standard” route via Pheriche, Phortse and Monjo to Lukla. 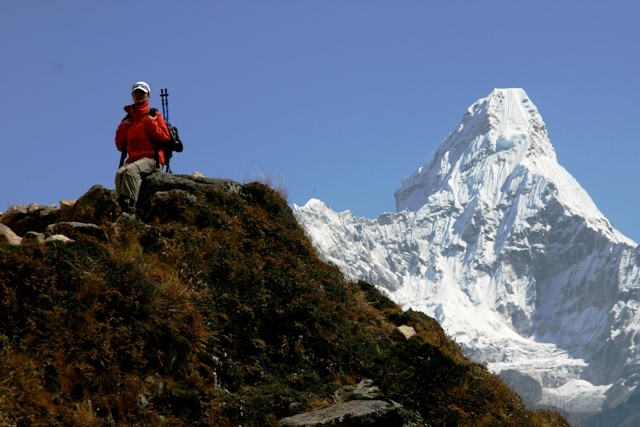 But, you do now get the views of iconic Ama Dablam as compensation. Now doesn’t that sound better than hiking up and down the same way with everyone else? For more see our Everest The Hard Way trek.